Indonesia ranks fourth among the most populated countries in the world. It has very diverse kinds of people as a result of its geography. They belong to various religious groups, although the majority of them (85%) are Muslims. Indonesians come from different origins such as Sudanese (16%), Javanese (40%), Chinese (3%), Madurese/Madura (4%) and Indonesian (37%). Indonesians are generally hospitable, helpful and polite. Their way of living is guided by their ethnicity, religion and beliefs. This attractive Southeast Asian nation strikes people with its awesome tourist spots and historical places. It takes pride in its people, who have genuine cultures and traditions followed even in the early times. Its archipelago is divided into the Australian and Asian continental plates. Its geography has contributed much to the varieties of ecologies and culture that the country has. Indonesia is jam-packed with stunning beaches, an abundant wildlife and amazing rainforests. Part of the "Ring of Fire," Indonesia has the greatest number of volcanoes in the world, although the place is generally safe. In fact, it is home to approximately 250 million people. Geographically, it is a fertile land with an overwhelming supply of rice, a staple food in the majority of Asian countries. Indonesia is a land of great potentials, because of its being rich in natural resources that people there are very proud of. Indonesia is a land full of mountains. It also has beautiful volcanoes, forests and beaches that are visited by thousands of tourists year after year. Indonesia is one of the countries that reflects Asian people in general. Because of its diverse cultures and beautiful tourist spots, it has become one of the most visited countries in Asia. Indonesia got its name from an Englishman named J.R. Logan. The name essentially means Indian Islands. 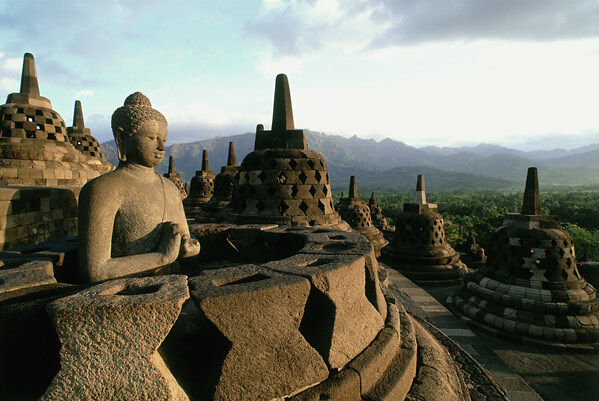 Indonesia’s history dates back to the seventh century, when Hindu and Buddhist empires fought for power over Indonesia. The rich relics and remains of that time contributed much to Indonesia’s identity. The Hindu forces won, and again in the thirteenth century, the Hindu empire faced a great challenge against the Muslim tribes who spread south of the peninsula. The Hindu lost ground and settled in Bali where their descendants still live today. The rest of the Indonesian peninsula became Muslim, dominating in the majority of the population. 1. 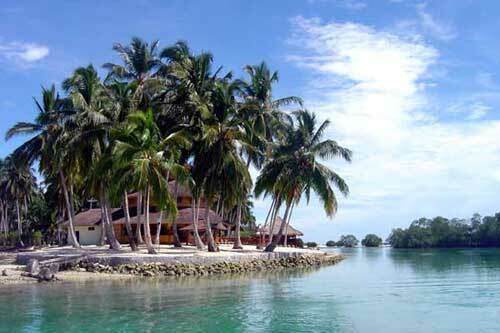 Sulawesi— a famous orchid shaped island in Indonesia, Sulawesi can be tracked on first glance of the map of Indonesia. It has abundant nature and beautiful natural spots that offer fascinating and thrilling travel experiences. There are a number of places here with historical importance, which are worth visiting. 2. Bali— this is by far the most famous island in Indonesia which is popular in movies, thus making it the most sought-after destination in Indonesia. It takes pride in its pristine white sand beaches, its world class services and adventure activities that have made visitors want to keep coming back. 3. Jakarta— Indonesia’s capital, Jakarta is where most establishments are built. This is where people shop in beautiful stores designed to offer the best products such as designer bags, shoes and clothes. There also are many antique shops that are popular among tourists. 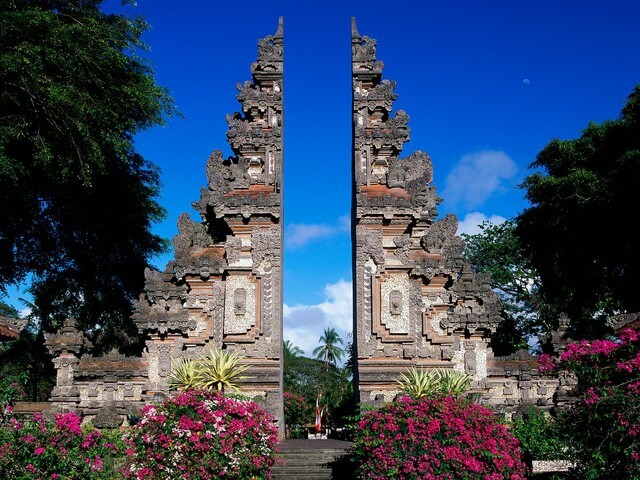 Indonesia is famous for antiques which have high price values. 4. Lombok— a place where the most beautiful handicrafts are found, Lombok is a place where people find rattan furniture and woven fabrics. Indonesia’s nightlife has attracted many tourists from other countries. 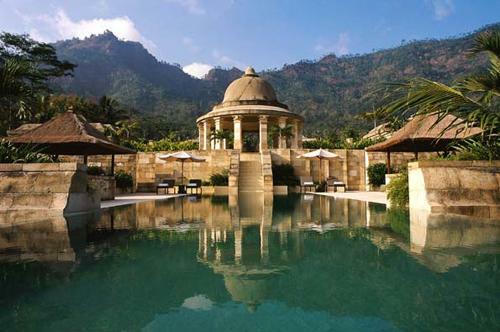 From formal candlelit dinners to exotic clubs and pubs, Indonesia has them all. People can enjoy the night in fancy restaurants, cafes and nightclubs and not have a dull moment. People are free to enjoy the night in their own unique ways. Live performances, karaoke bars or relaxed restaurants entertain people through genuinely different means. The food and the drinks are also superb. 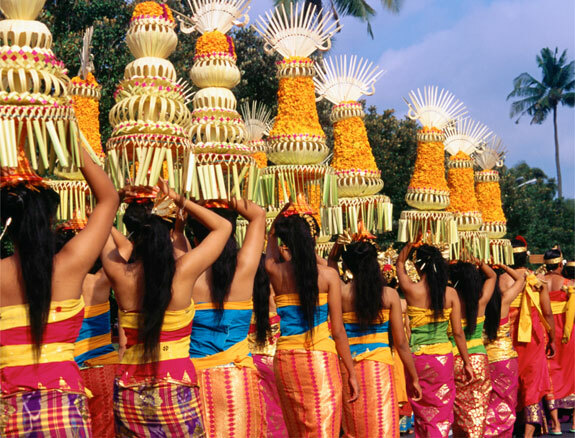 The culture of Indonesia has roots from a myriad of customs, beliefs, religions and values. Most of Indonesia’s islands are multi-ethnic, resulting in enclaves. Their cultures are mixed to certain degrees and Muslims share influences that are distributed among many groups, giving them similar cultural features, such as arts and way of dressing, social interactions and religious beliefs. Indonesians have varying cultural and social orientations. The majority of Indonesians are Muslims, while other religions exercised are Buddhism, Catholicism, Hinduism, Confucianism and Protestantism. In terms of music, the primary musical instruments are guitars and ukuleles. Traditional games are also part of the Indonesian culture, such as bull races, cockfighting and stone jumping, although its national sport is sepak takraw. The culture of Indonesia has been passed from many generations, and very little has been changed. It offers a wealth of silks, traditional arts and crafts, and many other exquisitely beautiful items. There are festivals of all sorts, many of which are celebrated and associated with religious beliefs. These events are made more majestic with dances, music and other performing arts. Indonesia has a wide range of techniques when it comes to cooking food. Influences from India, China, the Middle East and Europe were acquired on the kinds of dishes that Indonesians have been accustomed to. People from other countries cannot experience the truly delicious taste of Indonesian cuisines unless they travel to the place themselves. Most restaurants only base their cooking styles from cookbooks, although genuinely, Indonesian cuisine can keep taste buds yearning for more.